Image via Cleveland Police Department. 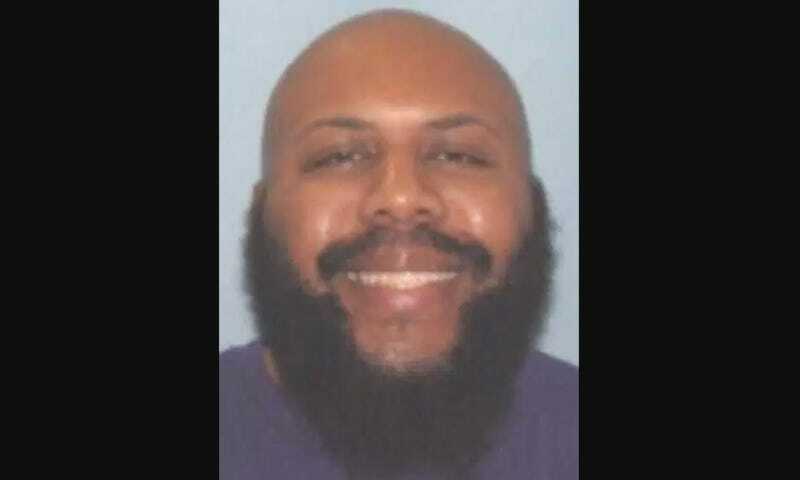 Steve Stephens, the Cleveland murder suspect who uploaded footage of himself shooting 74-year-old Robert Goodwin on Easter Sunday, reportedly died in Pennsylvania on Tuesday after police gave chase to his vehicle. According to CNN, Stephens’s white Ford Fusion was spotted in the parking lot of a McDonald’s in Eerie, PA, and investigated by state troopers. Stephens fled with officers in pursuit. One trooper attempted a “PIT” maneuver, which is a way of ramming a car meant to disable it. As the vehicle was spinning from the impact, Stephens pulled out a pistol and shot himself in the head. Stephens supposedly killed Godwin in an attempt to get his mother and girlfriend to get in contact with him. His mother told authorities that she had spoken with Stephens on Sunday before his phone died and he explained he was shooting people because he was “mad with his girlfriend.” Though he claimed in his Facebook post to have killed more than a dozen people, there appears to be no evidence that he shot anyone besides Godwin.